Doreen with a studio photo of her uncle, William Smith. Photo: Linda Alberston. Today (November 11) is Remembrance Day when we’re urged to stop at 11 am in memory of those who died and suffered in all wars and conflicts and to remember the impact that their service has had on those left at home. Significantly, 2018 is the centenary of the signing of the Armistice, the formal agreement made between the Allies and Germany, ending World War One (1914-1918) during which over 60,000 Australians died fighting in the service of our country. One of those Australians was a local lad by the name of William Smith (Willie to his family). I met up with his niece and long-time Kalaru resident, Doreen Stafford, to talk about her uncle and Remembrance Day. Just in time for Remembrance Day, Doreen points out the Flanders poppies now in flower and which regularly bloom in her garden from seed she planted years ago. Despite the showers of rain, and her years, she nipped outside and picked a couple of the delicate flowers. 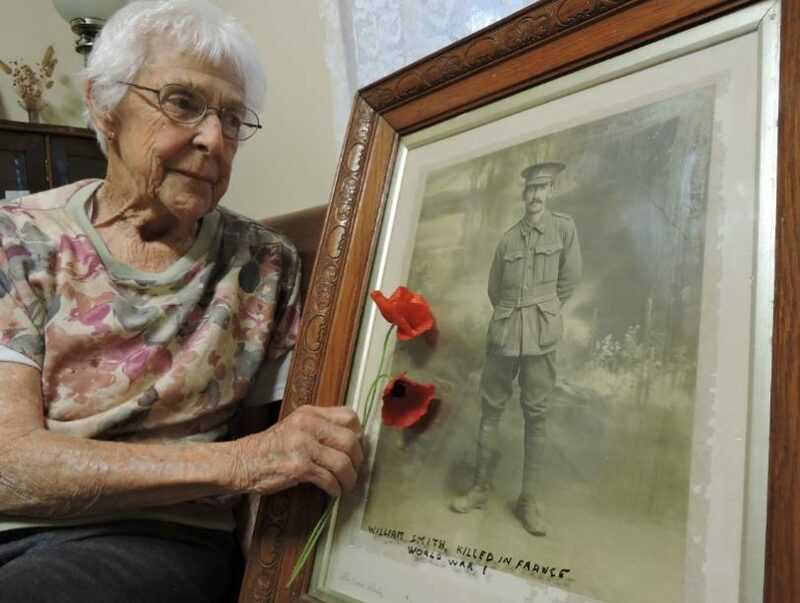 Doreen was born in 1925, eight years after her Uncle Willie was killed in action at the Battle of Menin Road in Belgium during World War One. Doreen never knew her uncle but the strong affection held for him by his family and their devotion in keeping his memory fresh has instilled in Doreen a remarkable feeling for him that has lasted all her life. Doreen’s mother, Mary Cleary (nee Smith), was William’s sister and she was instrumental in making sure her brother stayed in the thoughts of her family and her children. “Mum was always talking about him, telling us stories about him,” Doreen told me. A hundred years is longer than most lifetimes and for most of us, well out of living memory. Doreen proudly states that she’s 93 years – and a half! True, she never actually knew her favourite uncle but it seems Doreen’s ‘remembering’ has extended beyond her own life experience and tapped into the living experiences of her mum. The chatter and stories Doreen’s mum poured out about William has formed a potent legacy. William was a dairy farmer from Numbugga, born in Pambula. Aged 20 years and with his parents’ consent (being under 21), he caught a steamer from Tathra Wharf to Sydney, where he enlisted in the Australian Imperial Force on August 11, 1915. 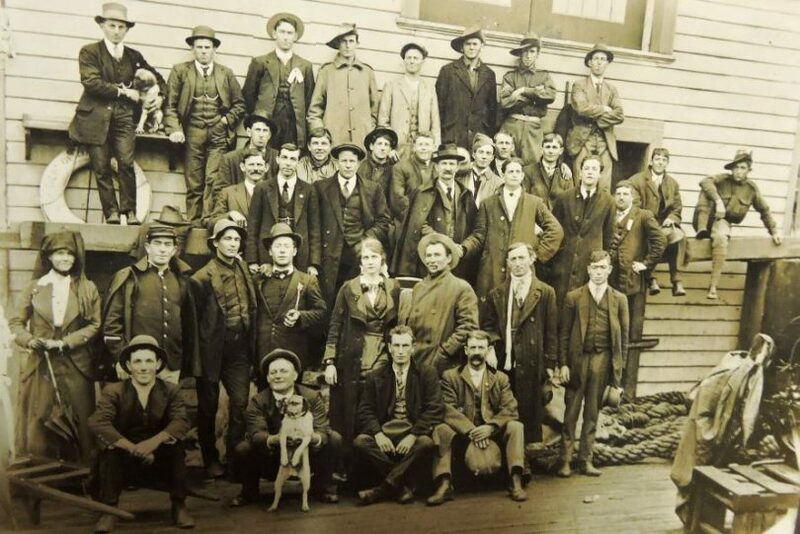 William Smith is in the back row, third from left; bound for Sydney to enlist to fight in WWI. On October 5 1915, he embarked on the transport ship HMAT A32 Themistocles sailing from Melbourne to Egypt, then from Alexandria to Marseilles where he disembarked on March 23, 1916 to join the British Expeditionary Forces in France. Nearly a year later, on March 2, 1917 he was wounded in action by a gunshot to his left elbow. Before reaching the Auxiliary Hospital at Dartford to recuperate, he’d been through the casualty clearing station, to the general hospital at Rouen and shipped to the Birmingham War Hospital in England. By early July 1917, he was back in France to re-join the 17th Battalion, which a few months later was deployed to the Battle of Menin Road, part of the Third Battle of Ypres (or Passchendaele). 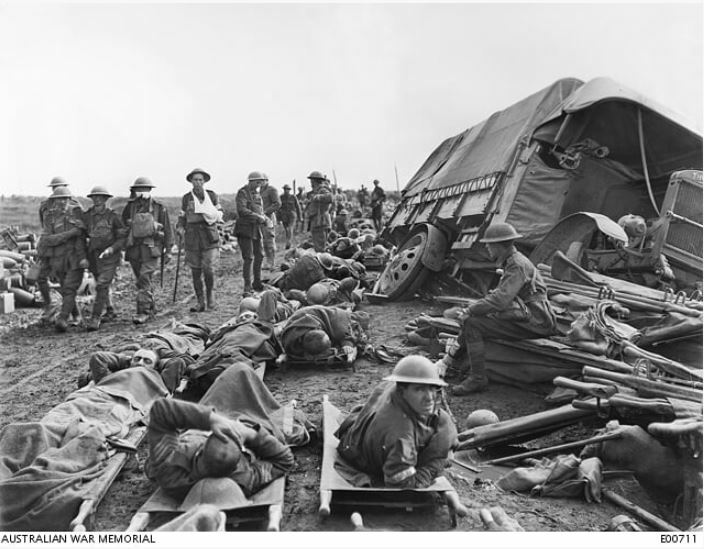 A scene on the Menin Road near Hooge, looking towards Birr Cross Roads, during the battle on 20 September 1917. Full description at www.awm.gov.au/collection/C43126. On Thursday, September 20, 1917 William was killed in action during the Battle of Menin Road. “I saw him shot through the stomach and killed outright on the 20th Sept soon after we reached our objective on the Menin Road,” Private W. Brogden (no. 2867) gave an eyewitness account which was recorded in a Red Cross file in 1918. “I always imagine he could have been one of them lying in the slush and mud,” Doreen quietly told me while we looked at photocopied scenes of Flanders trenches from a book collected as part of her family history. Private William Smith has no known grave. He is listed on the Menin Gate Memorial in Ypres, Belgium as well as on the Bega Soldier’s Memorial, the Bega District School Honor Roll and he has a plaque in the Bega cemetery, organised by Doreen’s late sister, Thelma. With many years of research behind her, Doreen has gathered a noteworthy collection of mementoes of William’s military service. One of those momentoes is a memorial plaque or Dead Man’s Penny, so called because of its similarity to the pre-decimal coin. William Smith’s ‘Dead Man’s Penny’ in Doreen’s care. Photo: Linda Albertson. 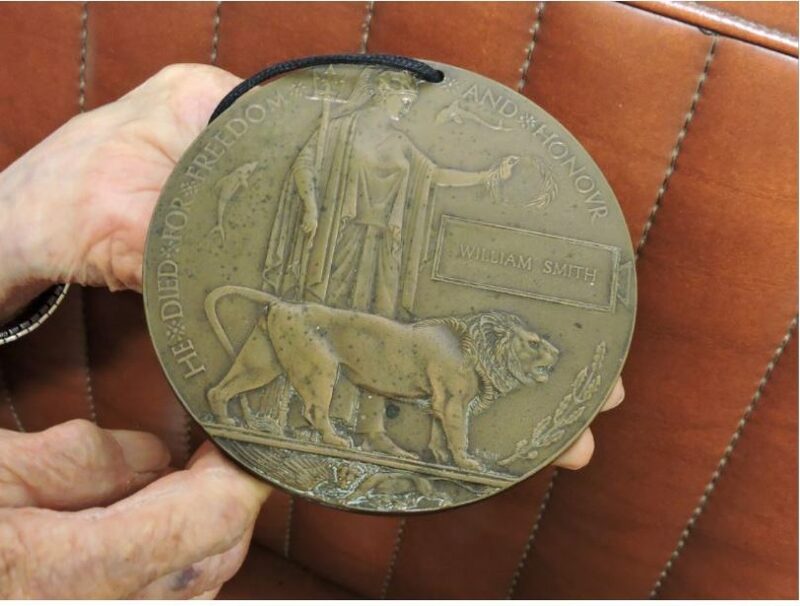 The next of kin of every soldier and sailor who died between August 4, 1914, and January 10, 1920, received one of these plaques – part of a huge commemorative scheme initiated by the British government to honour those who died in active service during World War One. It was an international undertaking and next of kin also received a letter from King George V and a commemorative scroll. Some families refused to accept a plaque and returned it to the Australian government as a protest against the idea that an object could replace their loved one. Doreen’s family did accept the plaque and in 1922 William’s father acknowledged on his written receipt that he was pleased to receive it, describing it as “pretty”. Doreen remembers seeing the plaque perhaps on display in her grandmother’s house as a child and it is certainly on display now at Doreen’s place. 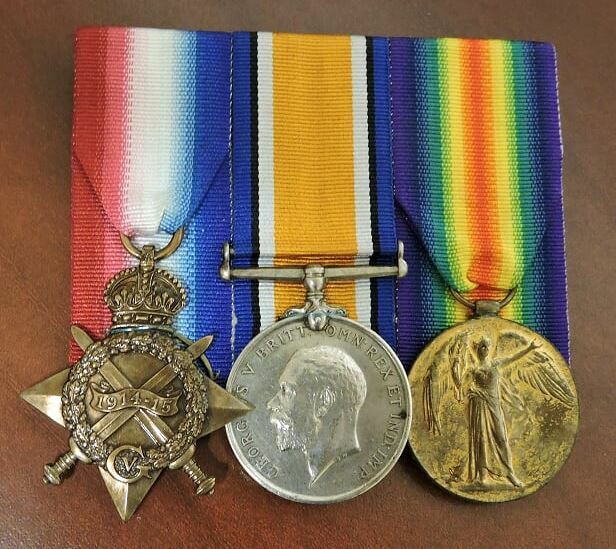 William Smith received the 1914-15 Star, the British War Medal, and the Victory Medal. Photo: Linda Albertson. Doreen’s not morbid; she chats about William matter-of-factly but also wistfully; it’s clear she would’ve really liked to have known him. Remembrance to Doreen is an everyday activity full of generosity; she is generous with her time and stories, and even of the poppies growing in her garden; the ones she’s picked earlier, she insists I take home with me. Doreen has carried on what her mum started, keeping the stories going and keeping her uncle in the thoughts of those around her. Research, words, energy, and heart by Linda Albertson. ‘Remembering Bega Valley Servicemen of World War I: Battlefield and War-Related Deaths’ by Pat Raymond, published by the Bega Valley Genealogy Society, 2014. ‘We Will Remember Them’ a series compiled and published by Peter Lacey, 2013-2014. Original Article published by Contributor on About Regional.